Aksharadhool: Miracles do happen, even now! Miracles do happen, even now! As the Asian Airlines Boeing 777-200LR aircraft appeared in the skies over San Francisco bay, for imminent landing on San Francisco international airport, late morning of 6th July 2013, most of the passengers, already exhausted from a long flight that had lasted for 10 hours and 45 minutes, were looking forward eagerly to getting off the aircraft after an uneventful landing. Out of 291 passengers on board, almost half or 141 to be exact, were Chinese citizens, who had earlier flown to Seoul from the Chinese city of Shanghai. For them, it was even a longer journey. In this group from China, there were 34 students accompanied by their teacher and two young girls, Wang Linjia and Ye Mengyuan, who studied together at high school in Jiangshan in the eastern province of Zhejiang and were student leaders. For unknown reasons, the aircraft approached the runway at San Francisco airport at much lower height and with low airspeed, perhaps because it began it's descent, while it was still passing over a mountain peak due to pilot error or mechanical failure. US National Transportation Safety Board Chairwoman, Deborah Hersman said at a news conference in San Francisco later that the Asiana Airlines Boeing 777 was flying 39 miles per hour below its target speed of 158 mph in the moments before it crashed at San Francisco’s international airport, Planes can stall at slow speeds, and Hersman said on Sunday a stall warning had sounded four seconds before the crash. Sensing danger of imminent stall, the pilots tried to abort the landing and take off again. However their effort seems to have failed. 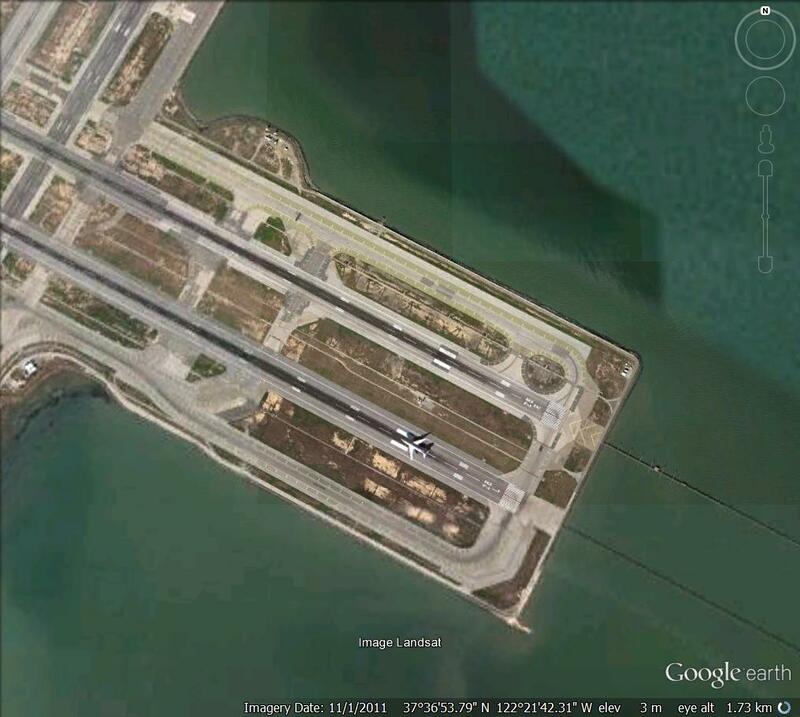 The aircraft just hit the runway almost at the start ,with its tail probably hitting the airport perimeter sea wall. San Francisco is one of such several airports in USA, where runway runs deep into bodies of water and have walls at the end of their runways to prevent planes that overrun a runway from ending up in the water. According to eye witnesses, since the plane was about to land, its landing gear would have already been down, therefore it’s possible that the landing gear hit the seawall first and then the tail of the plane. As a result the plane got effectively slammed into the runway the tail giving way and breaking off. The crash was so violent that parts of the plane were later found out in the San Francisco Bay waters. Witnesses say that the aircraft's fuselage appeared to have hit the ground as the plane screeched on the runway before coming to a stop. 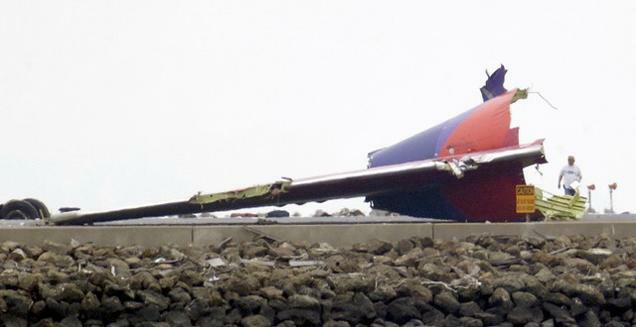 The Boeing 777-200 then veered off the runway and let out thick smoke as part of upper section of fuselage burst open. It eventually rested at an area between two runways, with its tail and left engine gone, and parts of the upper section of passenger compartment burned out. It appeared to be a major disaster with little chance of any survivors. However, as the plane burned, all the emergency doors were opened by the crew and inflatable emergency evacuation slides were seen popping out. 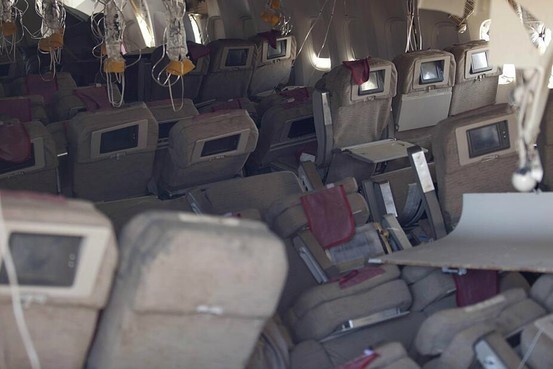 Passengers evacuated the plane quickly and were picked up by ambulances, as fire engines spread foam to douse the fire. Afterwords, when the tally was taken, out of 291 passengers and 16 crew members, except for two unfortunate persons, everyone else was alive and safe. An airport spokesman said later that 49 people were still critically injured and 132 had less significant injuries. The two girls, Wang Linjia and Ye Mengyuan were found dead near the exterior of the aircraft. No specific reason could be attributed for their death. However, it appears that they might have not died because of the air crash after all. They were probably the first ones to come out of the plane and might have been run over by one of the fire engines. US Federal and local officials on Monday 8th July 2013, addressed the possibility that the Chinese girl, who along with a classmate comprised the crash's two fatalities, might have been killed accidentally on the runway as the first firefighters raced to the scene of a wrecked, smoking airliner. Strait times has reported one of the passengers, Elliott Stone saying: "Right when it appeared to coast for the landing, ... (he) sped up, like the pilot knew he was short. And then the back end just hit, and flies up in the air, and everybody's head goes up to the ceiling. And then it just kind of drifts for a little bit, for a good 300 yards and then tips over. Fire starts. I was able to evacuate safely, sitting in the middle of the plane, but the flight attendants sitting in the back got hammered - because we landed short. And then they all fell out - and it was just the most terrible thing I've seen.” He adds that around 20 minutes after the crash, he and fellow passengers noticed "another five bodies like 457m away that nobody saw," adding they alerted emergency workers, but were frustrated at the response. "We were yelling at people, yelling at firefighters. Get over here. They were just lagging hard. I don't know." Many survivors of the crash show a surprising pattern of spine injuries that a doctor says shows how violently they were shaken despite wearing seat belts. Asian airlines later confirmed that One of the pilots of flight 214 was Mr. Lee Jeong-min, a veteran who has spent his career at Asiana Airlines. He was among four pilots on the plane who rotated in two-person shifts during the 10 hour-plus flight. Lee is in his late 40's and has 12,387 hours of flying experience, including 3,220 hours on the Boeing 777. 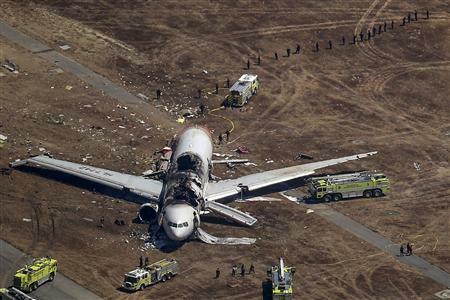 The other pilot at the helm was a trainee, Lee Kang-kook, had 9,793 hours flying experience and 43 hours on the 777. Lee Kang-kuk was making his first attempt to land a 777 at San Francisco’s airport, although he had flown there 29 times previously on other types of aircraft. 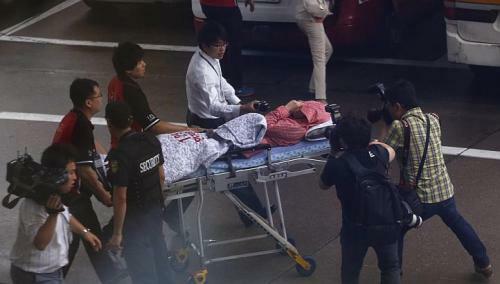 However it was not clear whether the senior pilot, Lee Jung-min, had tried to take over to abort the landing. 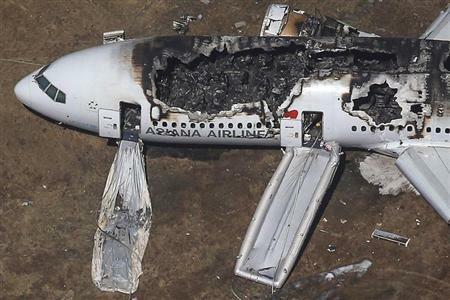 Asiana Airlines was founded in 1988 by the Kumho Asiana transport and construction conglomerate of Korea and its safety record is tarnished with a couple of fatal crashes. A Fire Department official said later: “Having surveyed that area, we’re lucky that there hasn’t been a greater loss.” I think , she is absolutely right. This is nothing short of a miracle. Miracles do happen even today! Definitely tragic and worrisome incidence. It must be investigated thoroughly to avoid it in future.